Wow! What a fantastic competition. 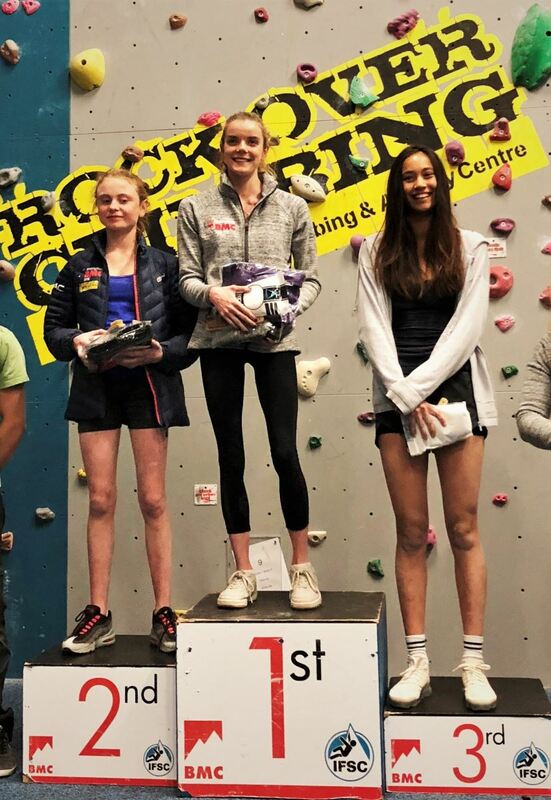 Over 200 competitors turned up at Rock Over Climbing Centre on Saturday 23 June to battle it out to be in with the chance of being crowned Junior British Bouldering Champion! The day started early with qualifiers for Youth B and Youth C categories. The qualification round was eight blocs with five attempts on each bloc and two hours to get to the top of as many as you can. The testing blocs for the qualification rounds were set by International setter Jamie Cassidy, Alex Fry and seasoned senior team athlete, Dave Barrans. Two hours of fierce competition saw the finalists decided and next up were the big guns – Juniors and Youth A. Isolation opened and after a brief interlude, the lights went out and the doors to the HUB opened, the spectators filled in to a spectacular final show. 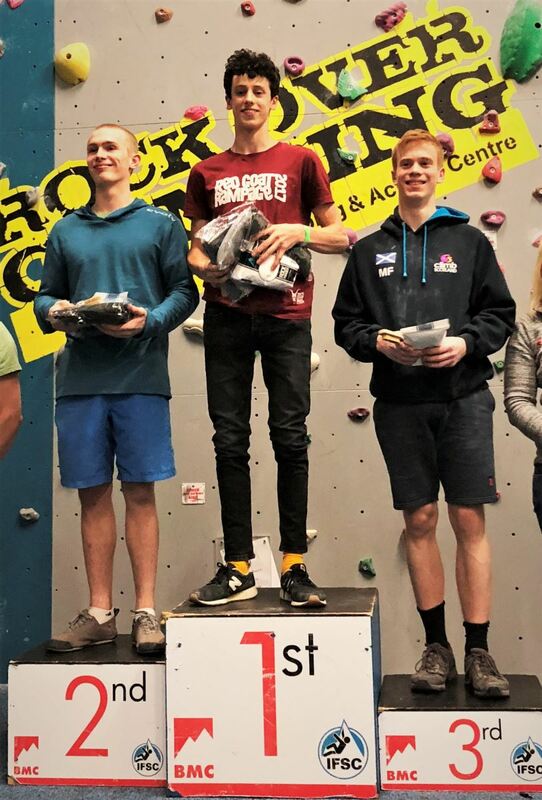 Youth B and C went first, with spotlights lighting up the final blocs in turn, banging tunes and excellent commentary provided by Senior team member Orrin Coley, and not to forget fantastic brushing and judging skills from senior team members Jen Wood, Nathan Phillips and Tara Hayes. Everything all added together to create an extremely electric and buzzing atmosphere! 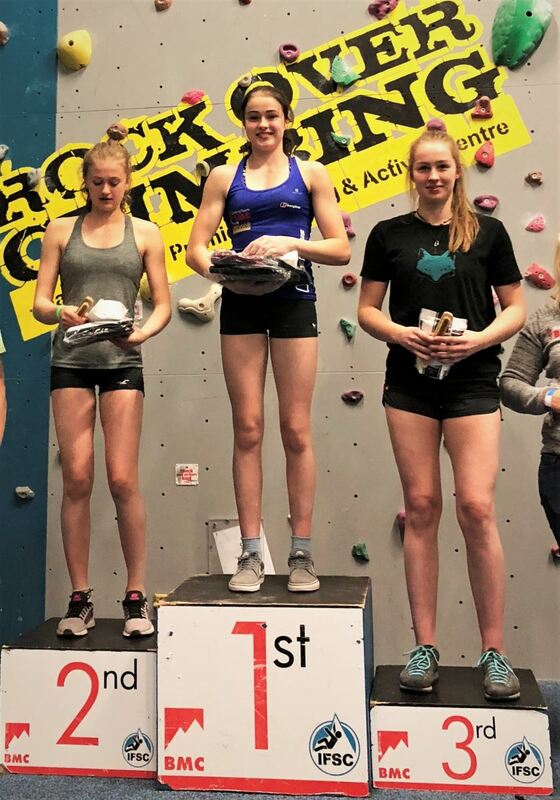 With the champions crowned, it wasn't long before the blocs were reset ready for the Junior and Youth A final showdown, which had the crowd surging to their feet to cheer the athletes on to the top. Huge thanks must go to Rockover; Tom pulled out all the stops to create such an amazing atmosphere for the finals, with Jaric and other key members of Tom's team providing huge assistance to the running of the competition. 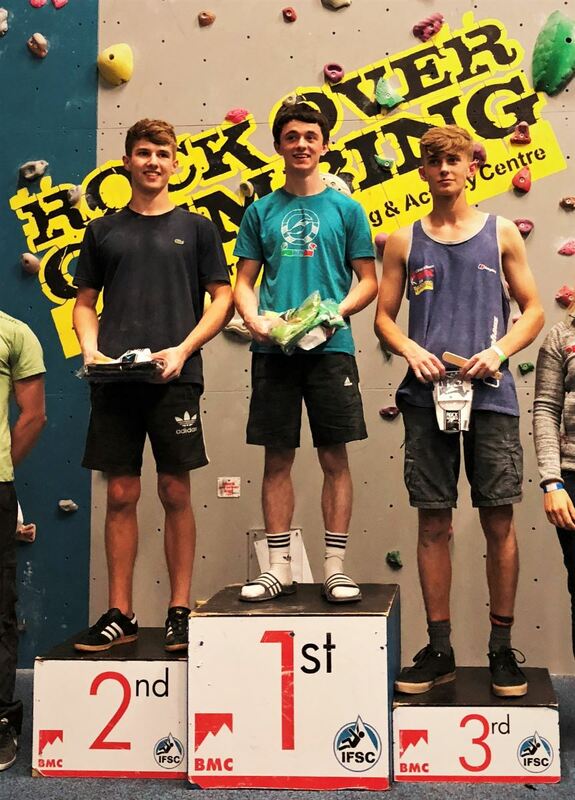 Rockover not only hosted, but they also sponsored the competition by providing all the holds and Nomad volumes for the finals along with holds provided by Serious Climbing, without which such creative final blocs couldn't have been enjoyed! Thanks to Psychi for providing all the prizes for the competitors. Thanks to the Route Setting team of Jamie, Alex and Dave. Thanks to Mark and Ian for their invaluable support on the day. And, finally, thanks to everyone who judged and took part to make it such a great competition! Just realised that most podiums pictures have a child who was removed from the 2018 GB 'development squad' due to not being good enough. I hope the BMC have re-thought their selection procedure for this year.